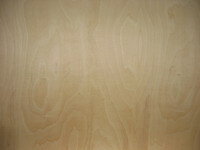 As for the water resistance of plywood glued connection it is divided into: ФСФ – plywood with higher water resistance ФК – waterproof plywood Grade Depending on the appearance of exterior layers plywood is subdivided into five grades: E (elite), I, II, III, IV. The grade of plywood is designated by a combination of grades of the exterior and turnaround layers: a grade of an exterior layer/ a grade of a turnaround layer, for example, E/I, I/I/, II/II, II/III, II/IV, III/III, III/IV, IV/IV. Grade I – pin knots up to 3 pieces, live knots up to 15 mm, dropping out knots up to 6 mm are permitted, close cracks are permitted no more than 200 mm in quantity of 2 pieces on 1 m of width, healthy change of stain is permitted no more than 5 %, other defects of wood are excluded. Grade II – pin knots, live knots up to 25 mm which drop out up to 6 mm, close cracks and started cracks 2mm in quantity of 2 pieces by length up to 200 mm, healthy changes of stain and wooden inserts are permitted. Grade III – live knots, dropping out knots up to 6 mm, close cracks and started cracks of 2 mm in quantity of 2 pieces by length up to 300 mm, healthy changes of stain , wooden inserts, sinuosity and ripples. Grade IV – dropping out knots up to 40 mm without restriction of quantity are permitted, started cracks in width no more than 10 mm without restriction, wooden inserts, sinuosity and ripples. 1. 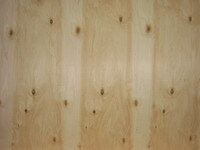 We produce plywood of the following size: 1525x1525 mm, 1475x1525 mm, 1525x1475 mm, 1475x1475 mm, 1220x1525 mm, 1220x1220 mm. 2. 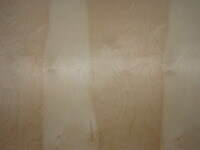 Birch plywood according to ТУ 5512-004-00273235 with the combination of grades of the exterior layers (shirt) I, II, III, IV. 3. A pencil (waste of peeling): diameter – 72 mm, length – 1630 mm. 4. Fence (product out of pencil): thickness – 34 mm, length – 1630 mm. 5. 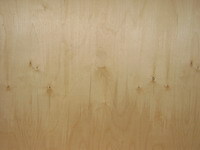 A plywood lining (waste product from cutting): length – 462 mm, width – 120 mm, thickness – 3 mm.